Don’t Forget Lighting When Setting Up Your Ergonomic Workstation! We all know that classic ergonomic adage of fitting the job task to the worker. When you start setting up your workstation, the first things that come to mind are the desk, chair, monitors, and keyboard. And yes, it is critical that you adjust your workstation furniture and equipment to suit your individual needs. But lighting ergonomics also plays a key role—something that’s not generally thought about, yet crucial to help prevent Computer Vision Syndrome (CVS), improve quality of life and productivity in the workplace. It can even lead to back and neck pain. Have you experienced any of these symptoms? The quality of lighting at your office workstation can have a significant effect not only on your eyes but also on your productivity. Poor lighting, whether too much or too little, is a major contributing factor to these eye strain symptoms. But your organization cannot establish a one-size-fits-all work environment design; we need to remember that each of us requires a unique amount of light. Some workers may require minimal lighting in their workspace while others will require more light to be most productive. Companies need to work with employees to help them design the best workstation for them, including the lighting, so they can be at their most productive. In the past, good lighting often meant enough lighting. But in today’s workplace, lighting should be based on the work you do, the type of lighting and the location of your computer. Let’s discuss some potential hazards the Occupational Safety and Health Administration has identified that could be caused by the lighting around your computer. Turn off or have some of the fluorescent bulbs above your work area removed. Use task lighting to adequately illuminate writing and reading tasks while limiting brightness around your monitor. Use glare guards to reduce or eliminate glare on your screen. Moving your computer or workstation so the sources of the bright lights, such as uncovered windows, are at right angles of your computer screen. Using blinds or drapes on windows to eliminate the bright light. Tilting down the monitor to prevent it from reflecting overhead light. Recommending to your employer to paint the walls and ceilings with a flat paint that produces a matte finish. The reflection from matte-finished surfaces is both shadowless and glare-free, creating an ideal environment for computer work. Another consideration affecting lighting needs is a person’s age. Addressing issues of the aging workforce in the United States concerning ergonomic programs is becoming more and more necessary for employers. For example, an aging workforce needs more lighting, especially task lighting, than younger workers. 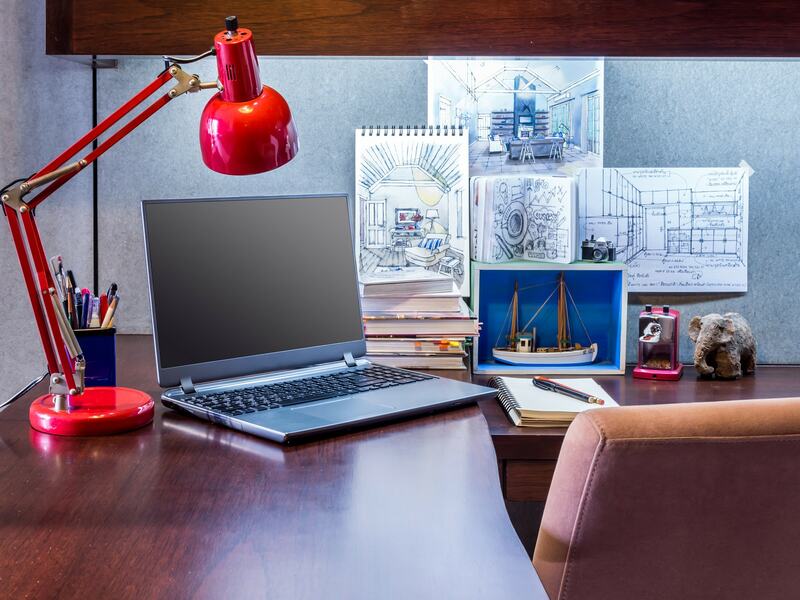 If you’re over 50, be sure your office workstation is in a well-lit area. You should also consider getting a task light for writing or reading paper documents. 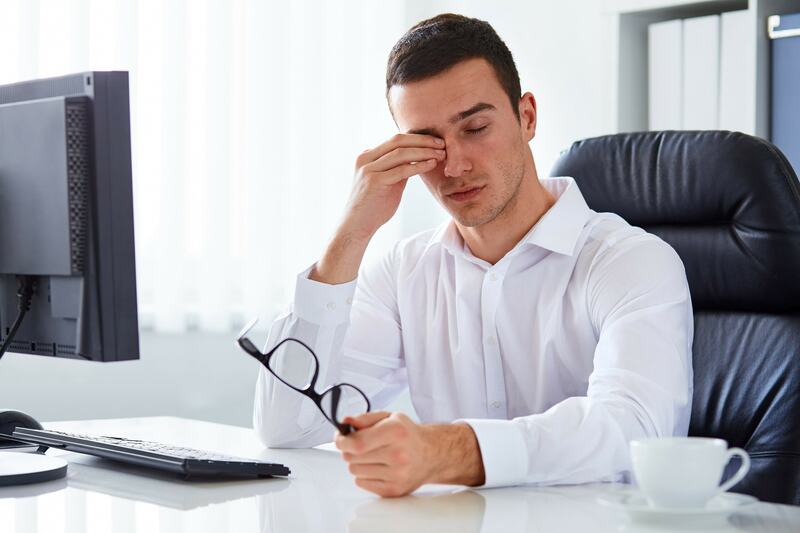 In addition to all of these measures that will help reduce your chances of eye fatigue leading to CVS, it is important for you to follow the 20-20-20 rule. This is a handy tool you can use at the office or at home to reduce your chances of CVS while using computers or mobile devices. The 20-20-20 rule is very simple: for every 20 minutes of screen time, stop and look away at something 20 feet away for at least 20 seconds. These regular screen breaks give your eyes some much-needed rest and help prevent eye strain. With Work-Fit, you’re company receives customized plans with a full breakdown of tips and techniques to improve office health and efficiency through your very own Work-Fit athletic trainer and healthcare professional. Contact us today to learn what we can do for you!